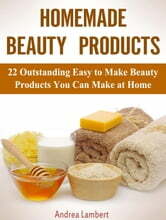 Do you want to learn how to make natural Homemade Beauty Products? 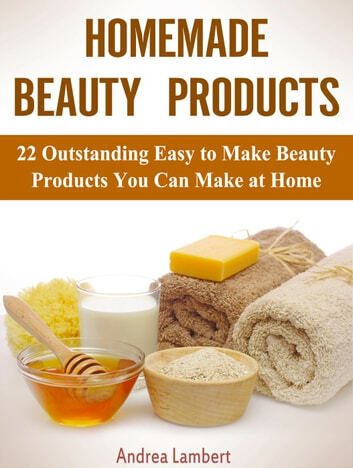 This book will teach you how to make simple and safe natural beauty products right from your home. Very easy and simple to make you wouldn’t mind making it anywhere from home; the kitchen, the bathroom, the toilet, the garage, the basement. It’s your home so you choose where to make it because home is a safe haven. Busy moms and career women with super tight schedules and little time on hand, this is just right for you. Don’t go back to zero or struggle to maintain a sound and healthy financial life. Now you can save all those cents and few dollars to build a strong a healthy financial status. You spend about 5 – 10 minutes searching through the cosmetic shops to get the right beauty product and an extra 5 – 10 minutes trying to put it on. A lot of time and so much stress, what’s worse is not finding what you want and having to comb the whole city. You simply can count on this book for all your simple tips to avoid the stress of having to “make up” to feel good. Aside the enormous amount of time and the huge sums of money spent, it is safe and healthy. Some of the beauty products contain ingredients which may not suit some skin types, some of these ingredients do pose medical concerns that we need to be much particular about. Let’s quickly zoom in to some of the easy-to-make at home beauty products which require less time than the time spent at the cosmetic shop searching for beauty products or waiting in a queue to complete payment. Different beauty products can have different flavors just like the ones we buy from the shops. Body scrub for instance can come in honey flavor, strawberry flavor or any other flavor. Just be a little playful with preparing your beauty products and you’ll start creating your own different flavors and soon you’ll be a master at them. Pet Food: The Secret Pet Food Recipes Tips To A Nutritious Homemade Dog Food And Cat Food Including Special Dog Treats For A Natural Balance Dog Food!